SM Tickets & TicketWorld are the only authorized ticketing agency for this event. 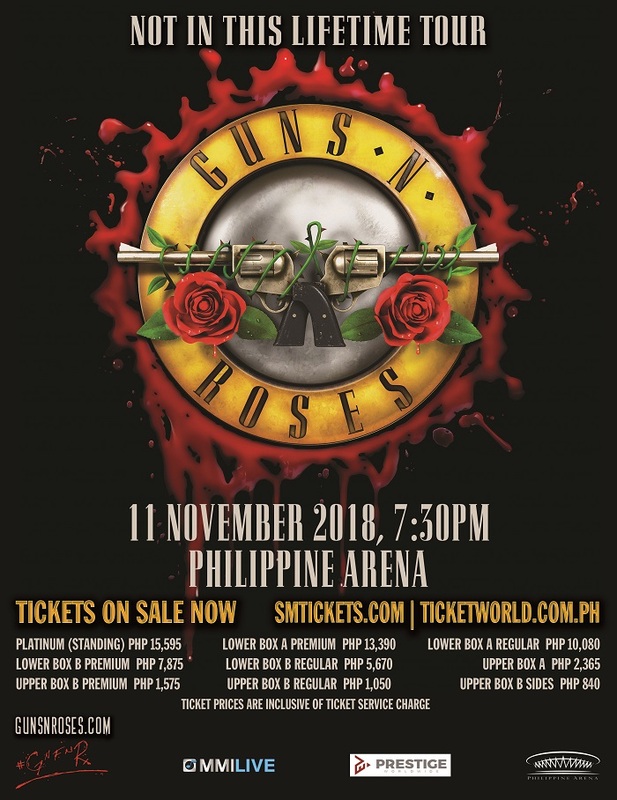 There is no guarantee that tickets bought from unauthorized sellers will be valid tickets, as these may be counterfeit or in breach of the terms and conditions set forth by the authorized ticketing agency and therefore cancelled. 2. Parents/guardians will be responsible for their kid’s safety at all times. 3. Unaccompanied minors will not be allowed at the standing section areas. 4. Pregnant women, PWDs and person with medical condition are not allowed at the standing section areas. 5. Valid school ID/Govt. IDs are required to be presented upon ticket purchase and venue entry. 6. Slamming and moshing activities are highly discouraged. Any patrons being observed of such acts or any acts that would pose a risk, threat or danger towards other patrons shall be evicted from the venue area. 3. Pregnant women and person with medical condition are required to declare their conditions and medications with the assigned medical team outside the venue prior entry. 4. Valid schoold ID/Govt. IDs are required to be presented upon ticket purchase and venue entry. 5. Slamming and moshing activities are highly discouraged. Any patrons being observed of such acts or any acts that would pose a risk, threat or danger towards other patrons shall be evicted from the venue area. Platinum Standing tickets get free parking at designated area.